The hybrid organic-inorganic structure of Perovskite Solar Cells has recently achieved a 20% efficiency at economically attractive costs. R&D is very active in the areas of stability, resistance to water, temperature and UV. 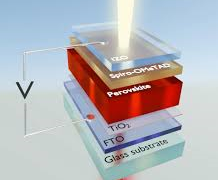 Download our catalog of products related to Perovskite Solar Cells.